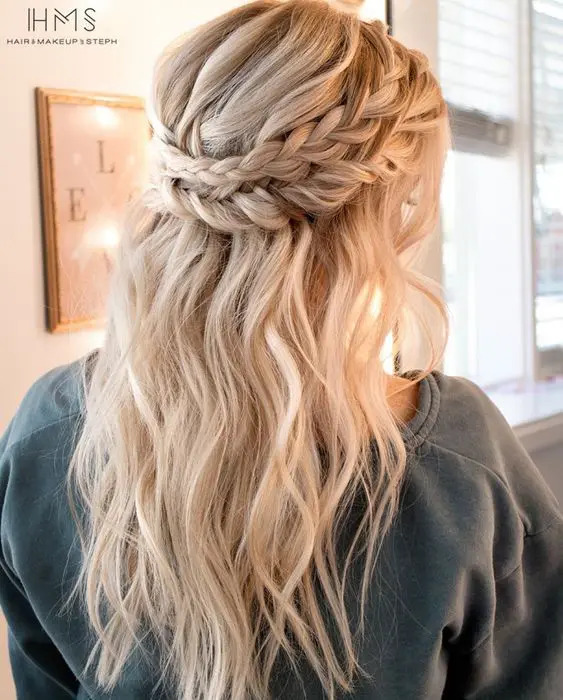 The most popular options for long hair are half updos, ponytails and low updos with waves, locks downs, braids and braided halos, twists and other details – it’s totally up to you and a look you wanna create. 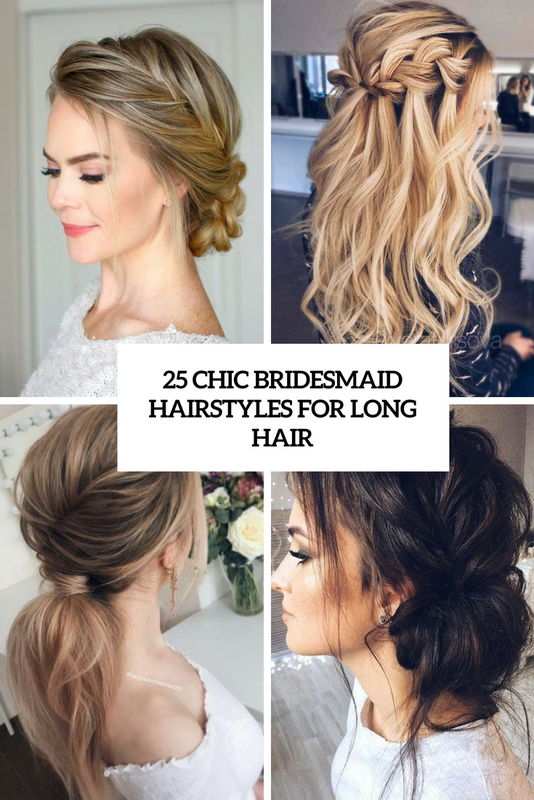 Let’s take a look at some examples to try. 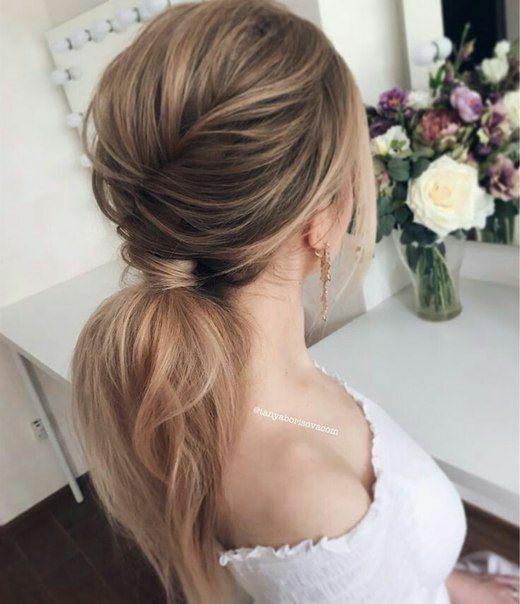 A ponytail is a great option if you have long hair: you’ll get a picture-perfect look for the whole day and you’ll make your hairstyle easily and fast. 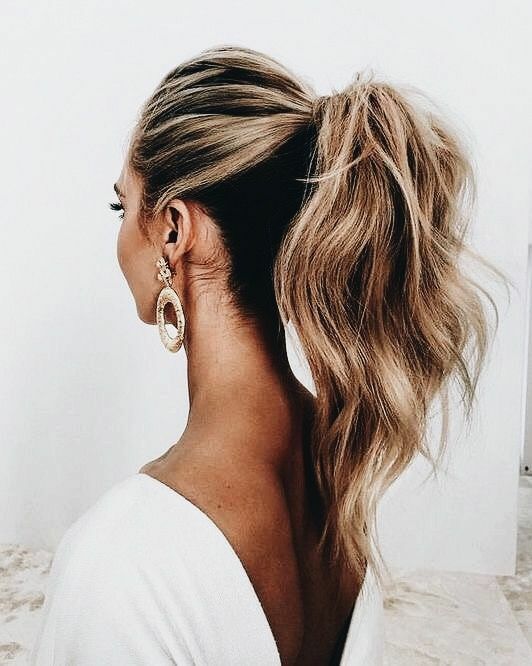 It can be a casual ponytail with a bump and textural hair or waves, or a braided low ponytail with textural hair for a boho chic look, or an elegant low twisted ponytail with a bow for a refined touch – there are tons of options to go for, choose what you like! 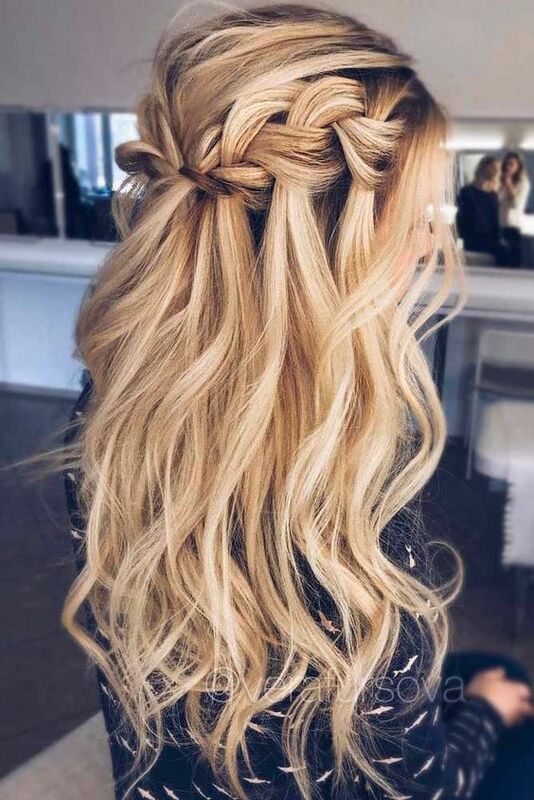 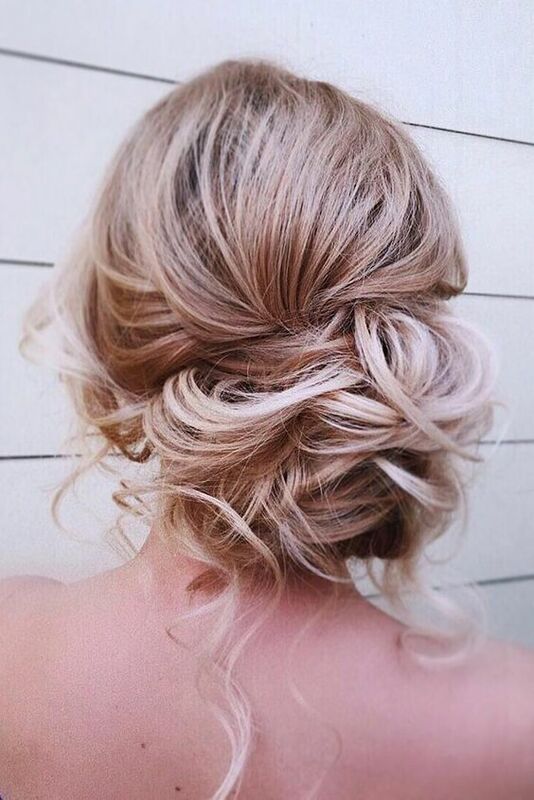 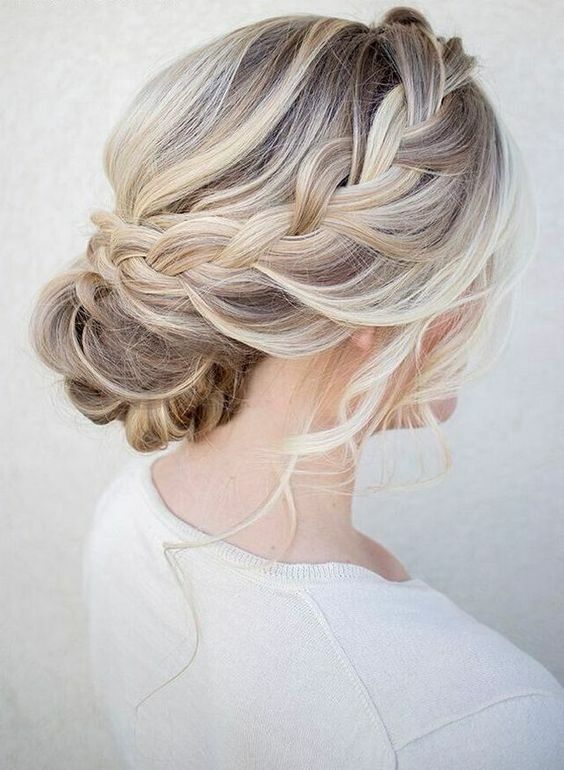 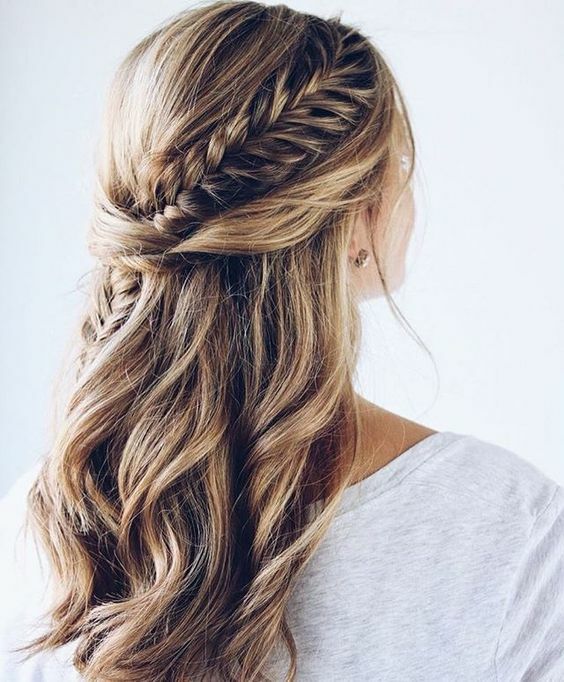 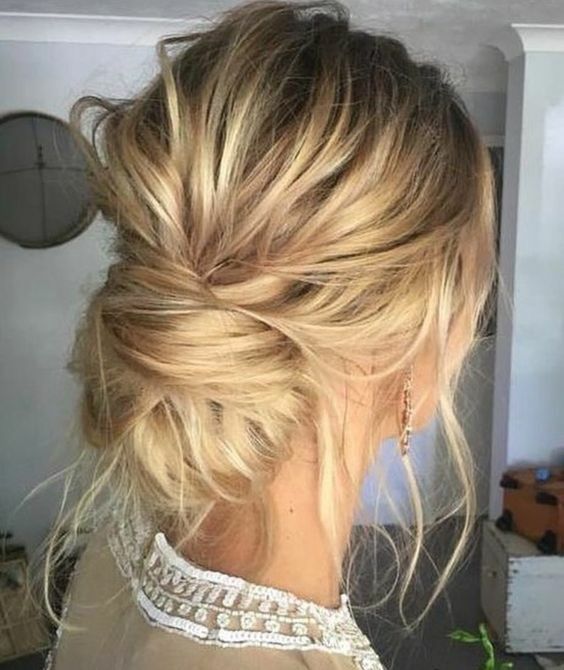 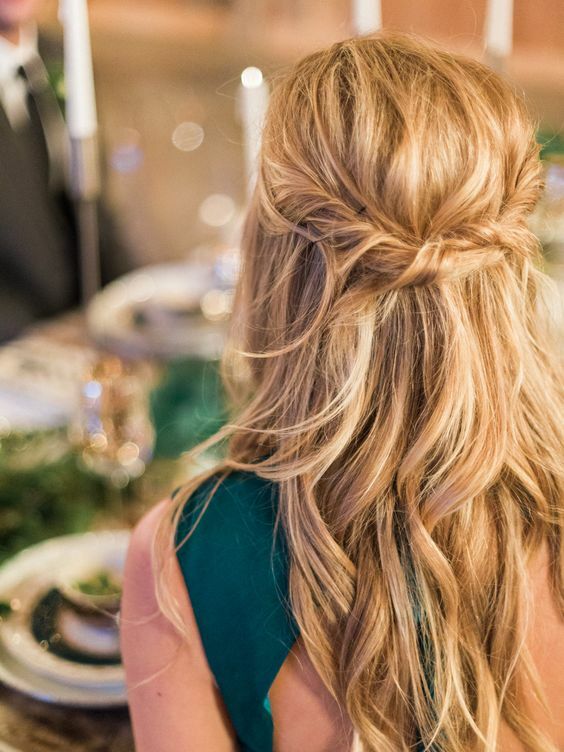 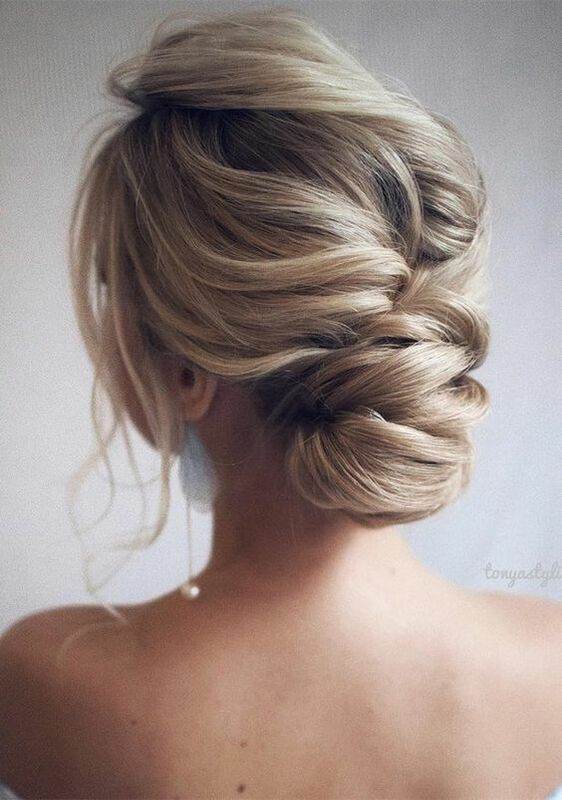 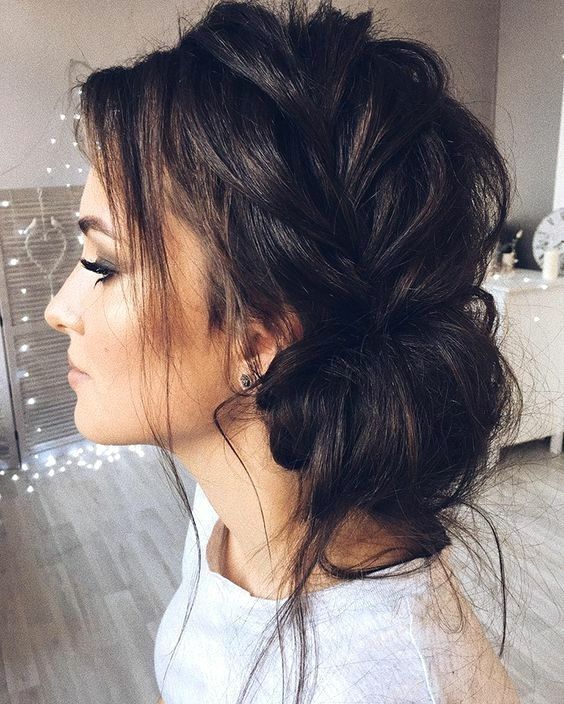 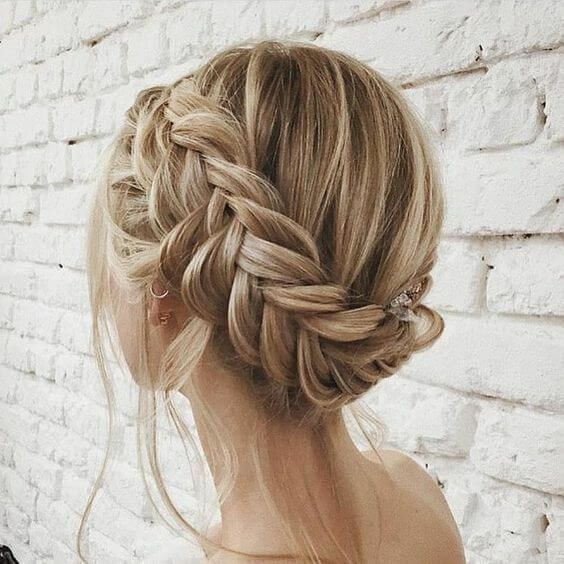 A half updo is a romantic option and a great way to show off your gorgeous long hair, it may be not that durable but is definitely worth trying, it’s a very chic idea for a bridesmaid. 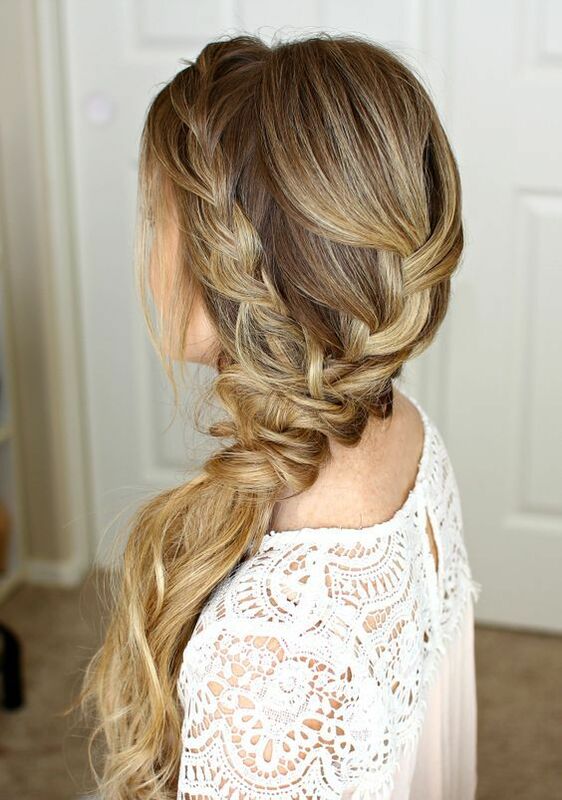 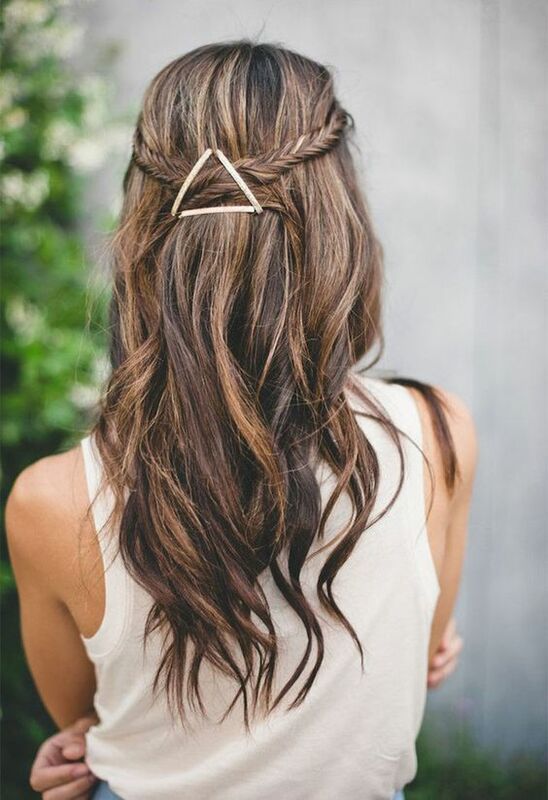 Try various braided and twisted halos and textural hair or waves down, the halos can be sided or usual ones. 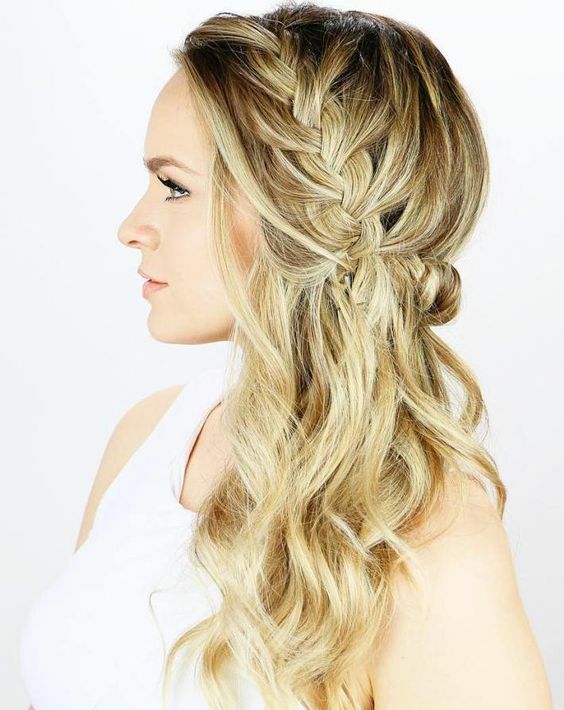 Such hairstyles look very cool with flower crowns that are extremely popular for weddings now. 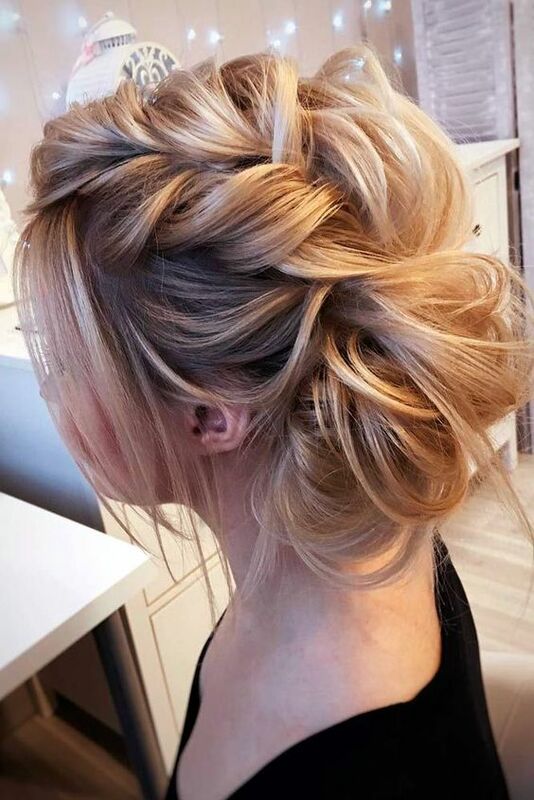 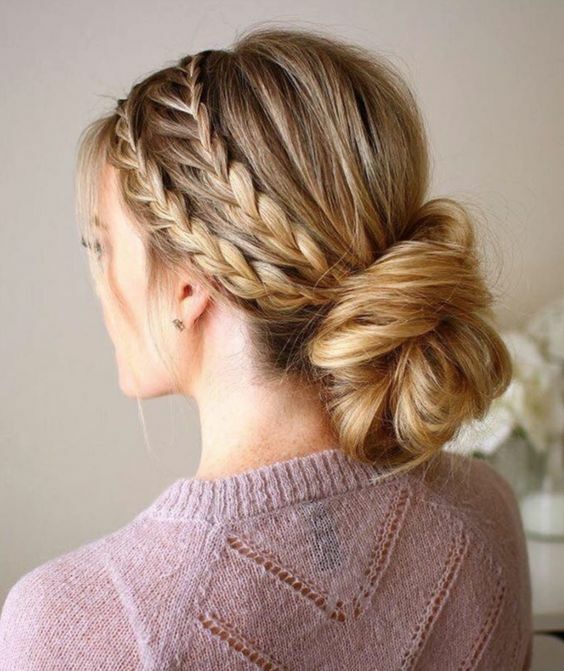 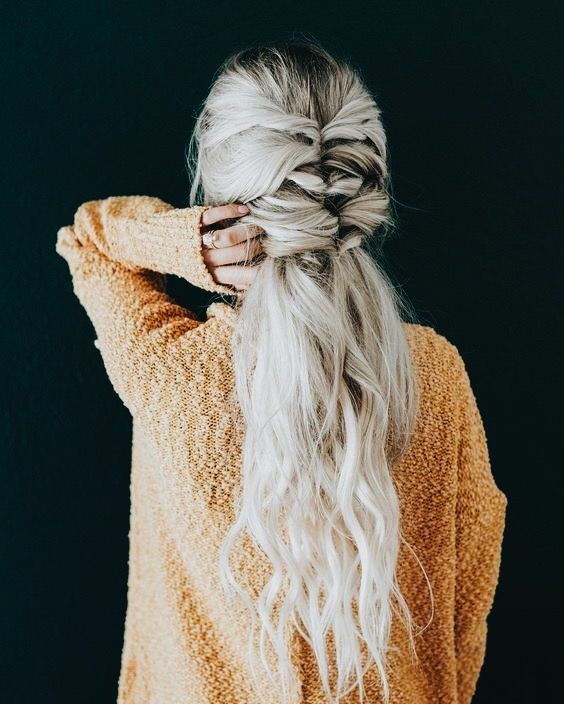 An updo is always the most popular option as it’s durable whatever the weather is and whatever you do, it’s a great idea for long hair to keep it in place every second. 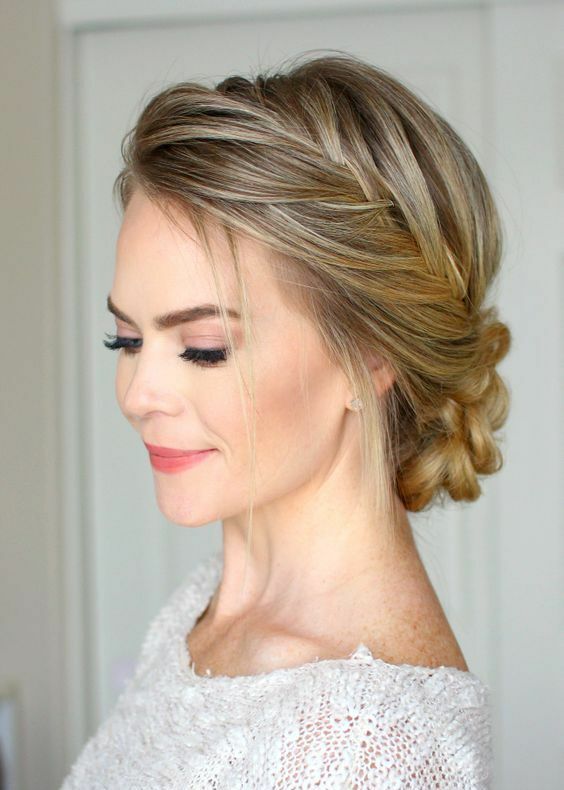 Considering how much bridesmaids should do and how much attention they get – it’s a very comfy idea. 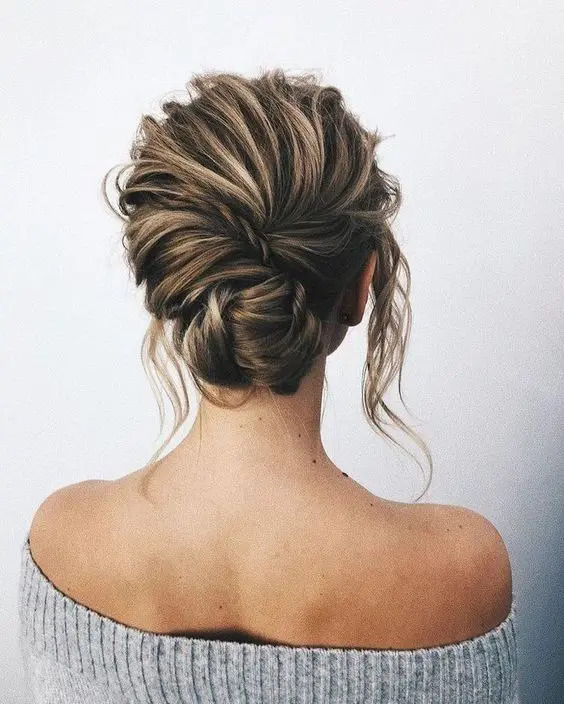 There’s a wide choice of updos for every style and look: braided halo updos, twisted updos, all kinds of low chignons from the tightest to the messiest ones. 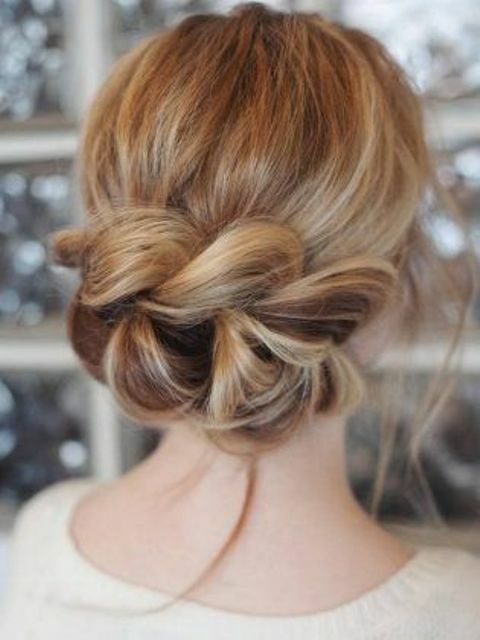 add a bump, a volume and a texture to your hair and go for a hairpiece if you want, and voila, you are gorgeous!